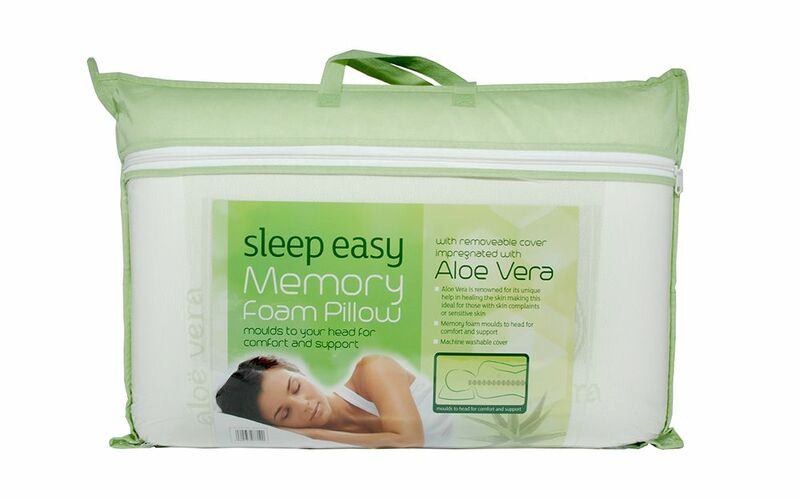 The Aloe Vera Memory Foam Pillow: a revolution in comfort! 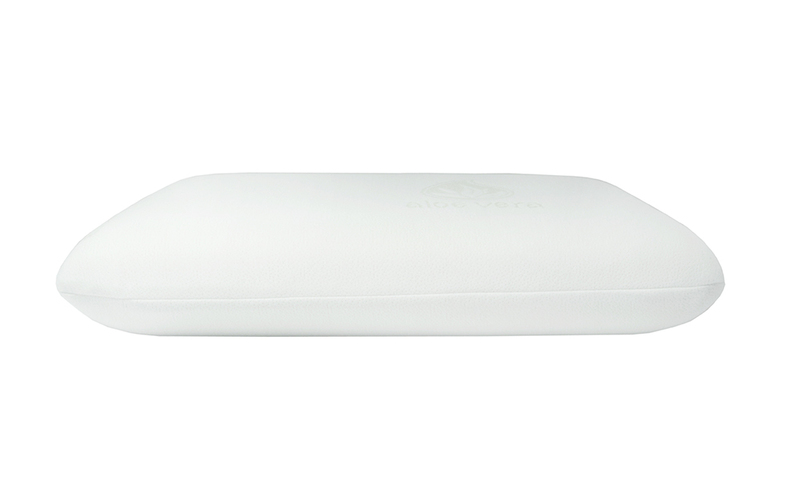 13cm of soft, responsive memory foam will cradle and support your head and neck throughout the night. 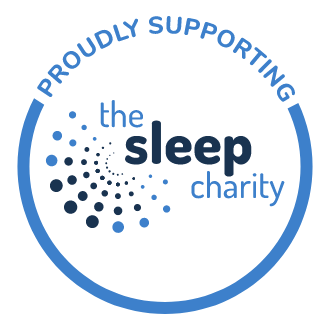 Memory foam provides personalised support as well as a soft, comfortable feel - it's like sleeping on a cloud! 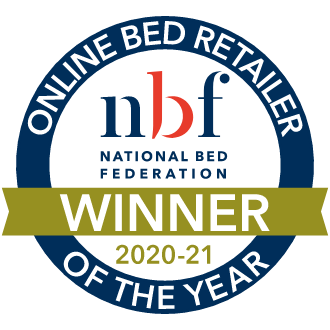 As well as being pressure-relieving, memory foam is naturally hypoallergenic. The solid structure makes it impenetrable to dust mites and highly resistant to mould, dust or bacteria which can aggravate allergy symptoms. 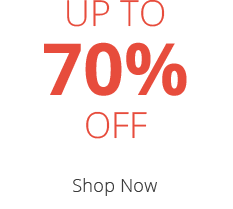 This pillow is not only fantastic for allergy sufferers. 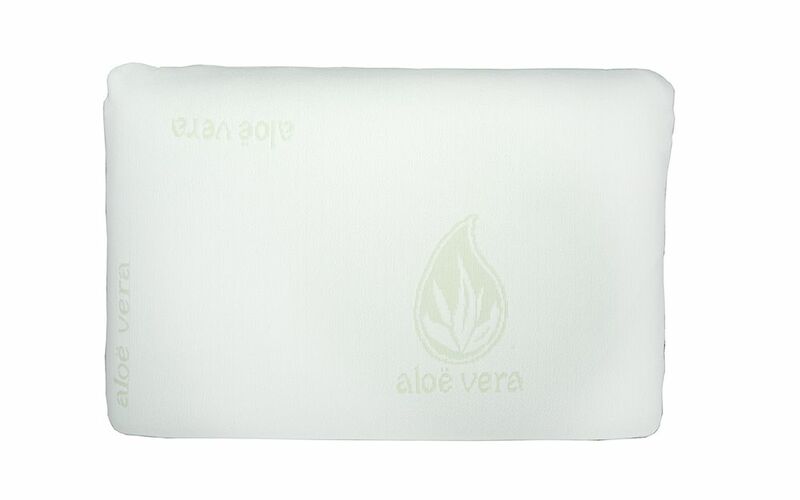 The aloe vera-infused cover is naturally soothing and provides added freshness for your pillow. Aloe vera is also highly beneficial for those with sensitive skin. The removable knitted cover is machine washable - so it's easy to keep your pillow fresh and clean. Choose this luxurious pillow today, and get the rejuvenating night's sleep you've been waiting for!